You've probably been doing it the wrong way. It keeps your head feeling and smelling fresh, even if you skipped washing your tresses for a day (or two). But did you know there's a correct way of applying it on your scalp/spraying it on your hair? 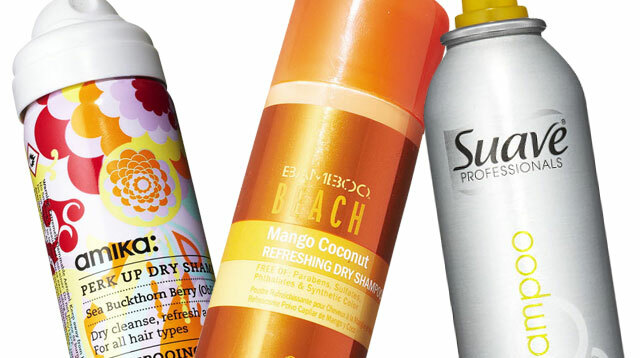 Here's how to do it: Create a hair part where you wish to apply your dry shampoo. Take your spray or powder and apply it on your scalp. If you’re using a spray formula, be sure to hold it at least six inches away from your scalp for even application. But here’s what you probably fail to do: You don't let the dry shampoo settle, which is essential if you really want your hair to absorb all the product. Then, use a comb to spread the shampoo evenly. If you don’t have super oily hair, you can try applying it all over your hair, flip your head over and then gently flip it back up. This will also give added volume to your locks!